Since the world we live in here at Vital Imagery Ltd. is all about images — from creating them, to photography tips, to the various ways they can be used, this post typically highlights collections and tutorials that have some relevancy to my life at that time. However, today, I thought it might be nice to hear from someone else. 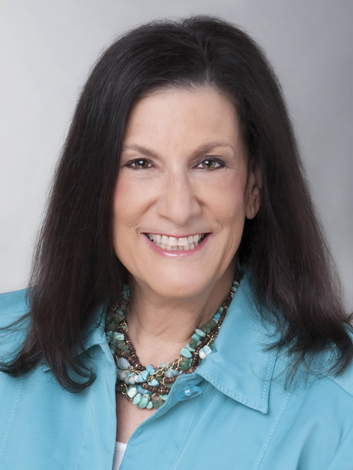 Elaine Fogel, a marketing consultant, in-demand speaker, educator and author based in Arizona, has been using graphics to enhance her professional projects for several years. A long-time subscriber to iCLIPART.com she recently signed up with iPHOTOS.com to access the great print-quality images offered there. She graciously agreed to an interview to discuss her career and the way she incorporates images into it. It was after a decade in marketing that she moved to the United Stated where she started her own boutique agency, Solutions Marketing and Consulting LLC. She also added professional speaking to her resume and joined the National Speakers Association. As a contributor in 2004 to Marketing Profs, Elaine had co-incidentally been building her SEO. "However, when I realized I needed my own blog in 2009, I was a latecomer. I persevered, recognizing that the content posted to social media was highly advantageous." As much so as images are to content. Studies have proven that good graphics are integral to getting noticed in social media, on websites and in newsletters. Elaine notes that a University of California, San Diego study, found 94% of content with a visual component gets more views than content with no visual element and 65% of information that contains visuals is retained three days after the fact, as opposed to 10% without. "And, the study predicts that by 2018, 84% of communications will be visual and 79% of internet traffic will be visual content. Now, that's a compelling case for using images in content!" She cautions against using free images from the internet in projects since they could very well be protected by copyright. "For those in business, that's a risk you don't want to take." She also advices that people go for high-resolution, print-quality images. "When I discovered iCLIPART.com and now iPHOTOS.com, I loved the fact that I could download illustrations and photos in different file formats and sizes and only pay one fee per year! It was cost-effective and had so many options." Then, there are the large image sites, she adds. "Many of these charge by the image, by credits, or by subscription. Typically, most subscriptions have maximum daily and monthly downloads. Heavier users, for example, can end up paying over $2,000 a year!" "What I appreciate about iCLIPART is that its subscriptions are tailored to different users. If you only need a few images the week you do a newsletter, you can download up to 35 PNG or JPG images daily for a week at only $9.95! Who can complain with that? If you need more than that, there are one-month, three-month, and annual subscriptions. For those who need vector images, videos, fonts, sounds, animations, and more, the highest annual subscription tops out at $295. Let's see, $295 or $2000+?" "One of the things I do with my content and speaking/training is to share low-cost resources and tools. My past experience working in non-profit taught me how to be creative for less. Becoming an affiliate is simply an extension of that."